Serving the Greater Pittsburgh Area & the entire North Hills, our dedicated team of CPAs can provide a full range of accounting and tax services to meet your particular personal or business financial needs. With over 30 years of experience serving individuals & businesses in the Greater Pittsburgh area, W Cotton Mather CPA continues to adhere to the highest standards of conduct and professionalism as established by the AICPA & the National Association of Tax Professionals. We strive to create an excellent relationship with every client we serve; no matter if they are individuals & families or small business owners. 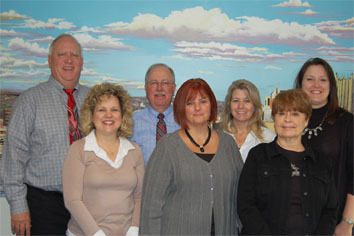 Our team of friendly CPAs is here to handle your financial needs with trust, honesty, and integrity. Whether you need bookkeeping services, payroll preparation & management, or income tax prep and planning, we are here to maximize your results by delivering personalized services that will meet your needs. W Cotton Mather and his staff of tax & accounting experts use their experience and knowledge to save you the most money, whether that is with taxes or through other general accounting tasks. We truly believe that your relationship with your accountant should include ongoing communication all year long which is why we are here for you year-round. Cotton Mather is a graduate of Grove City College and the University of Delaware. He was also a charter member of Beta Alpha Psi, a national honorary accounting society. Mr. Mather’s Accounting experience includes such firms as Haskins & Sells (now Deloitte & Touche) and Rockwell International. He attained his CPA status in 1982, working primarily in the small business sector. In addition to being President of W Cotton Mather, PC, Mr. Mather has been involved in assisting in legislation regarding tax issues relevant to small businesses in Pennsylvania. If you are looking for a trustworthy, highly-rated Certified Public Accountant to handle your tax or business affairs, please call us at (412) 931-1617.